How Much Does Lawn Care Insurance Cost? Lawn care insurance cost includes both what you’ll pay for your policy, also known as the premium, and any additional costs. The premium is calculated based on different factors. These can include how many people you employ, where you work, and the exact type of work you do, with the risks of each of these factors included in your specific lawn service insurance cost quote. We build our policies to be affordable and tailored to your business, and your lawn service insurance cost won’t be based upon generic lawn mowing insurance prices. Our aim is to make your lawn care insurance cost for liability insurance as affordable as possible. In addition to keeping premiums low, we let you choose how you want to pay, either annually upfront or on a monthly basis, at no extra charge. We also reduce your lawn maintenance insurance costs by getting rid of extra fees. That means, for example, you can add anyone you want as an additional insured, or share as many Live Certificates of insurance as you need, at no cost to you. 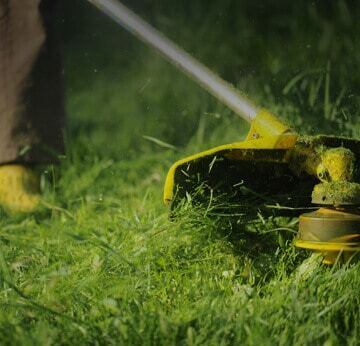 At Next Insurance, we believe in making your lawn care insurance cost reasonable for your business. That means we tailor your lawn care liability insurance to meet your business’ needs, and don’t force you to pay for coverage you don’t need. It also means that our lawn care insurance prices aren’t standard. To find out how much lawn care business insurance will cost your business, get a quote and you’ll probably have your lawn service insurance coverage in about eight minutes. How Much Does Lawn Care Insurance Cost for General Liability Coverage? General liability lawn care insurance cost for our customers is generally between $350-$450 annually, or $29-$37.50 per month. The cost of general liability insurance for lawn care providers will vary, based on your specific work and which policy you choose. Even so, it’s worth thinking of insurance policy as an investment, because it can save you from any number of costs that could be very expensive. These expenses could include everything from third-party injuries on your worksite, to property damage at a customer’s home, and even accusations of slander. In addition to covering replacement costs for something like a broken window, your lawn care liability insurance policy could also pay for legal expenses in case you’re sued, medical fees for an injured party, and more. In other words, the cost of lawn care general liability insurance is very reasonable when compared to the potential savings it offers, and the ability it gives you to focus on your business. How Much is Lawn Care Professional Liability/Errors and Omissions Insurance? Professional liability insurance, which you may have heard referred to as “errors and omissions” insurance, is an additional layer of coverage for your business. Essentially, lawn care professional liability insurance protects you in the case of covered claims that are specific to your profession, and the work you’ve done. For example, as a lawn care professional, it could be that you cut down a customer’s beloved oak tree, when they had intended to cut down a pine. Perhaps your mower died halfway through a job, leaving the customer with a half-cut lawn for a big event. Most of the time, professional liability claims are smaller than general liability claims, as they mainly cover redoing something that you didn’t do properly, and avoid potentially expensive issues such as bodily injuries to people around you. It’s a bit tricky differentiating your professional liability policy from your general liability insurance policy, as there is, in fact, some overlap sometimes. To help simplify, we include professional liability insurance as part of your package when you purchase either a Next Insurance Pro or Pro Plus plan. There’s no extra lawn care insurance cost for this coverage. That way, if you have to make a claim, you don’t need to worry about whether it’s general or professional liability; you just know that you have solid lawn care insurance coverage behind you. What’s Covered by Lawn Care Insurance? A client trips over your equipment and breaks her wrist while coming outside to discuss your work with you. You shared photos on your Facebook page of a yard that you transformed successfully. Your client is unhappy with your showing pictures of his home, and sues you. One of your employees complained about a client on social media; the customer saw the post, didn’t think it was funny, and decided to sue you. As you're cleaning up leaves, you stumble and the rake you're holding breaks a window. A rock gets caught in your lawnmower, flies out, and hits your client. They ask you to pay for a visit to the doctor to make sure they're ok. The client whose window you damaged decides to sue you for the damage you caused, and you need an attorney to defend you in the lawsuit that results. Insured was working at customer's house and broke the right-hand pane of glass in a two-sided window. An insured was mowing an easement 15 feet off a road, a lawn mower flung a rock, which hit the side of the claimant's car. The car had a ding on the passenger side rear door, where the paint was chipped. Claim scenarios are shown for illustrative purposes only. Coverage is dependent on policy terms and conditions and the actual facts and circumstances giving rise to a claim. Why Choose Next Insurance for Your Lawn Carae Liability Insurance?